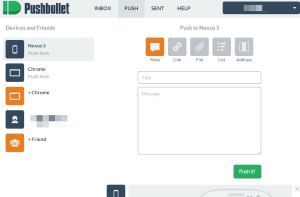 Lifehacker pointed me to Pushbullet, yet another notification tool for your Android phone. I have used several of these and everyone I uninstalled dissatisfied with the experience. What I want is to eliminate redundancy. When I’m on my phone and respond to a prompt, like a beep or buzz, then that’s the last I want to see it. I don’t want to get to my computer and see the same thing. Delete the same email again or have to deal with it. The same is true when I am on my computer. When notice of something comes along I want to deal wit hit and then not see it again. The problem with using multiple devices is you often have to revisit items you have already seen or you don’t see all items and you have your phone on a counter or in your purse and don’t notice it. Worse you do notice it and then you have to go away from you computer and dig out your phone or walk and get it. Ugh. 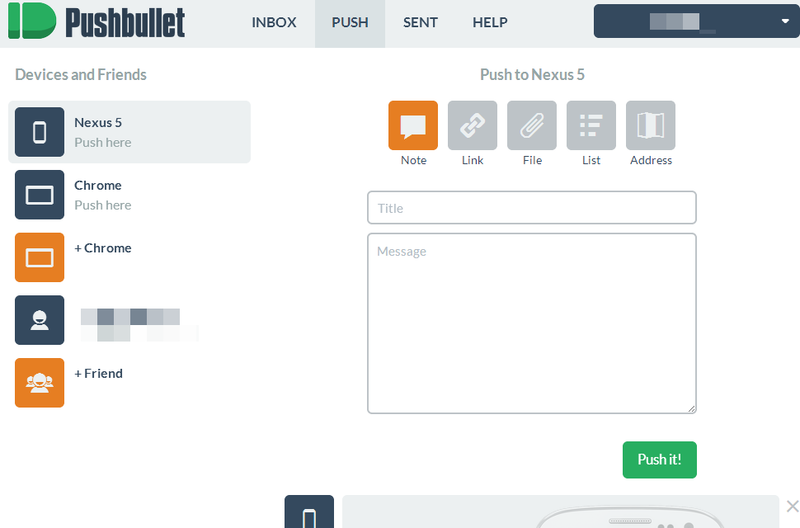 Pushbullet is the first app I have encountered that addresses this problem well. You install a Chrome extension and the app from Google Play store. It sends notices from you phone to you computer. You have the option to dismiss it from your phone from the desktop. No longer do I work for 3 hours then go to lunch and bring up my phone with 8 pending issues to look at and swipe away. They go further and let you select types of applications to no longer mirror. I have a Sonos player on my phone and I don’t need it popping up on my computer desktop. It’s the first day so I may yet find problems that cause me to uninstall but for now I say, good on you Pushbullet.